Owning a bicycle creates new transportation options. A bicycle is so much more than a toy: it is the first vehicle many children ever ride on their own. Let your child discover the responsibility associated with controlling a vehicle, but also the exhilaration and freedom that come with it. We provide options for your child from the tiniest balance bike to first adult bike, as well as solutions for you to carry children with you if they are too small to pedal independently, or if the distance is too great. If you and your family are interested in a specialty set-up, such as the Family Tandem pictured above, or cargo bike, we have plenty of experience with such products and will be happy to work with you on making it a reality. Batch Bicycles offers an uncluttered selection of simple, well-designed kids bikes in three shiny colors: blue, orange and black. 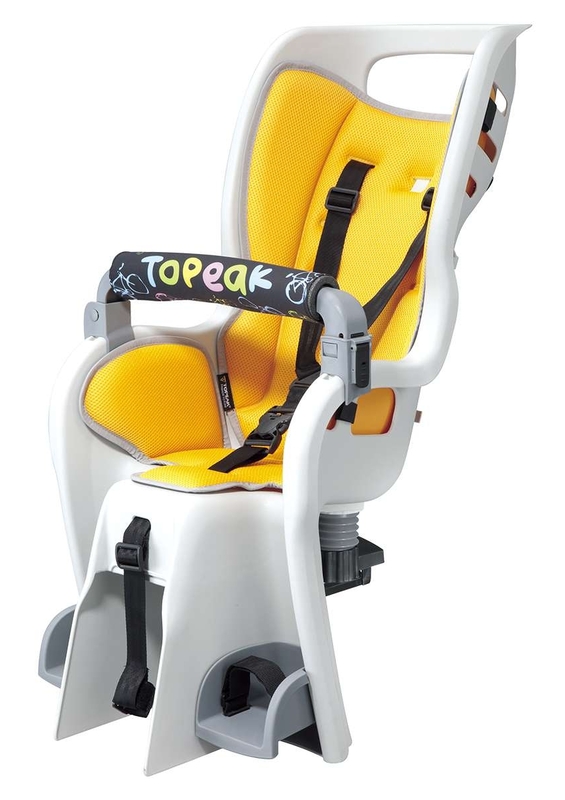 They have something to fit your child from his or her very first scoots on a balance bike, to their very own transportation on campus. Come in and try them out. In addition to children’s bikes, we offer a variety of child carrier options to help you bike together as a family. Please also visit our Cargo Bike page for even more family cycling option. These can be mounted on the back of almost any standard adult bike, as well as on cargo bikes. Designed for kids to about 40lbs. Prices range from $175 to $200 plus installation. This is one of the best designed tagalongs on the market. It turns an ordinary adult bicycle into a child-friendly tandem. It attaches to your bike by means of a proprietary rear rack, which improves the tracking and safety of the device, but also gives you a useful place to carry bags, which is difficult to do with other popular tagalongs. 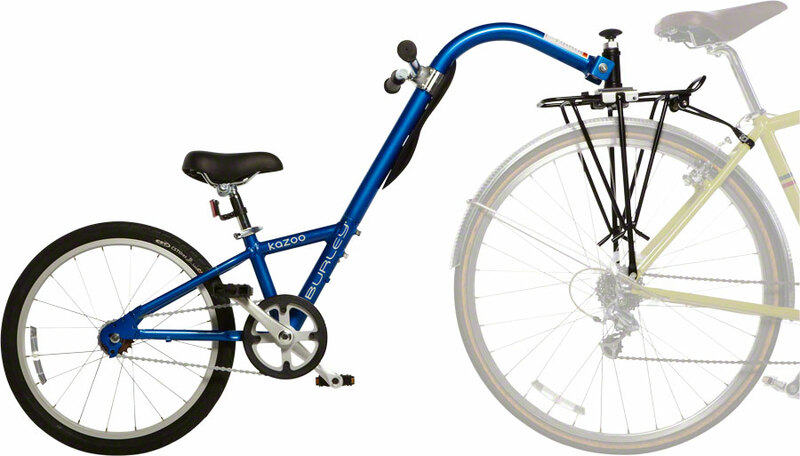 Burley Kazoo retails for $299. Child trailers carry one or two kids, and have substantial cargo space. They feature safety harnesses, ventilated panels, a bug net and rain cover. They convert to a stroller configuration (for when you bike to the zoo and want to stroll around), and fold flat for storage. A child trailer makes great grocery hauler when your kids are not in it. 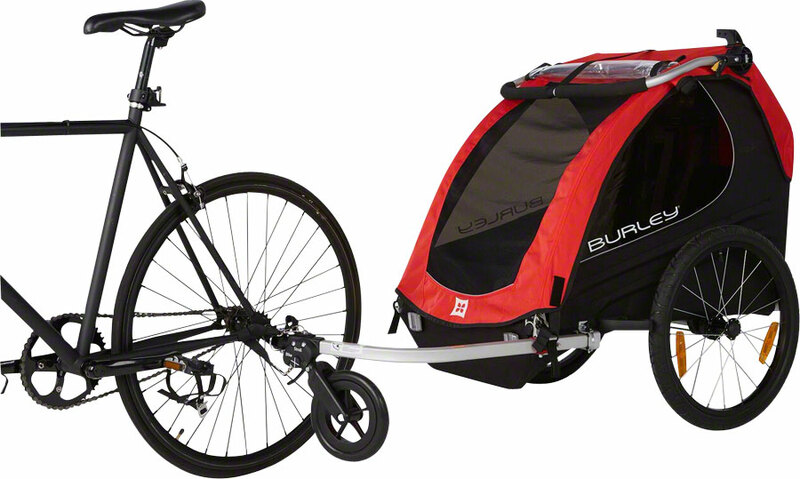 We carry trailers from Burley and Thule. Stroller-convertible models are available from $400.